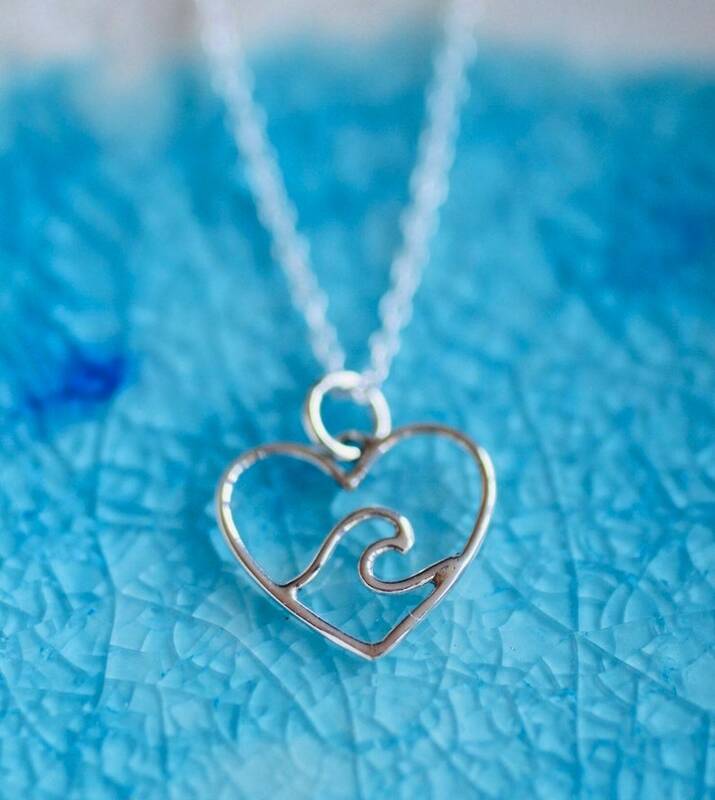 Sterling Silver Wave charm necklace is the perfect way to highlight your love for the beach all year long. This wave charm is a gorgeous and fluid wave. Perfect gift for your surfer, beach lover or great addition for any ocean themed jewelry. Get your vitamin sea! These are 20 mm wave charms and come on your choice of 14, 16 or 18 delicate chain necklaces in Sterling Silver.